This program, Creating a Caring Community Together (CCCT), has been my personal dream and passion for many years, and finally the Joint Chaplaincy Committee of Greater MetroWest was able to launch it about four years ago. I believe that spiritual healing is not done by one. Healing is accomplished through the combined knowledge and effort of professionals and community members working together. 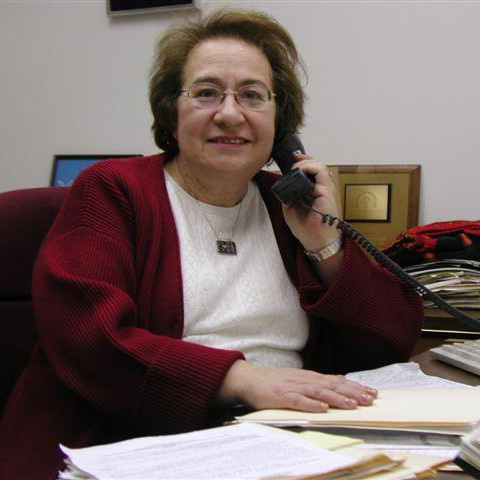 Through CCCT we have provided close to four dozen local synagogue volunteers with the skills needed to provide effective and meaningful care to those in their own congregations who need it. This program has received support from Federation, Saint Barnabas Medical Center, Atlantic Health, and Eleanor Rubin. Today, more and more people with life altering conditions and issues are choosing to live at home instead of moving to a care facility. Despite all the positive aspects of choosing to stay at home, this population can become isolated, increasing the burden of bikkur cholim and caring committees in responding to the needs of the elderly. Community professionals and rabbis must rely on their trained volunteers to help ensure that no one is neglected. Since its inception, Creating a Caring Community Together has offered an annual one-day training for both community volunteers and professionals. In addition, we hold a networking day with synagogues and organizations in order to share ideas, successes, and challenges. We also provide a list-serve of relevant articles and other resources. Together, we learn from one another as community volunteers. Together, lay leaders, professionals, clergy, congregants, and family connect with each other. My dream has moved forward and continued to make this a bi-national and international initiative TOGETHER. The next step was to take this program global. 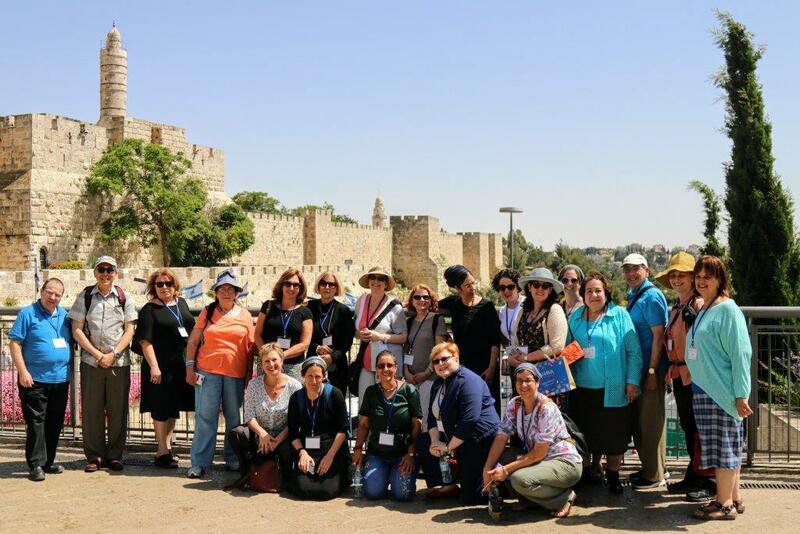 Last month the Joint Chaplaincy Committee collaborated with one of our partners in Israel, Gisha L’chaim or Life’s Door, to hold an educational conference there entitled, “Compassion and Hope in Aging, Illness and at Life’s End.” This was part of our initiative of Creating a Caring Global Community Together. We describe this initiative as a bi-national partnership between Israel and Diaspora communities that provides supportive services, ongoing education, materials and resources, and a forum to share best practices. 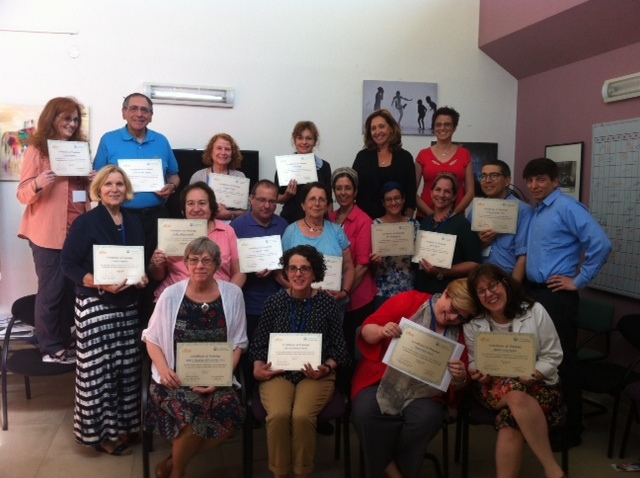 This Life’s Door Certificate Course included experiential site visits, including a trip to our partnership community of Arad in the Negev, and training in innovative tools to offer meaning and hope to people facing illness, aging and end of life and to those who serve them. In total, 22 healthcare professionals including doctors, nurses, social workers, and chaplains from both sides of the ocean participated. The group represented the diversity of our community’s agencies and disciplines. We spent four days immersed in study and forging relationships. Our hope was that this time spent in collaboration would flow into and infuse our work in MetroWest. We are scheduling a follow up meeting to continue to move forward with CCCT as the next step to contribute together with partners in our community and agencies. We plan to continue this bi-national collaboration through both video and Skype educational opportunities.